Since I have a son with ODD myself, I get it — this is something I’ve struggled with as a parent, and I know how hard (and frustrating) it is. 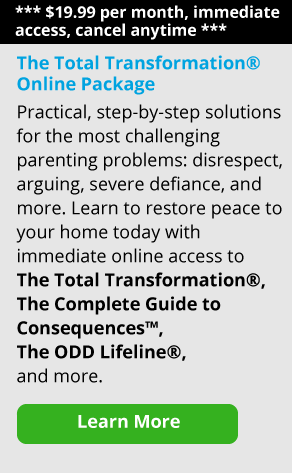 Here are 7 effective ways from our experts to start having conversations with your child — even kids who have issues with explosive rage. These techniques have really helped me, and have helped thousands of parents we advise using our parent coaching service. 1. Be simple and direct. Use as few words as possible when you ask your child to do something. Less is definitely more. After a few minutes of talking or lecturing, you may notice your kids have tuned you out. Keep it short and direct for maximum effectiveness. 2. Start with something positive. As frustrated as you are, James Lehman suggests you try starting out with a compliment when bringing something up to your child. This will get them to “Listen louder!” It would sound something like: “I noticed how quickly you got up to do the dishes last night. I’d really like to see you shut off your video games that quickly.” Your child will be less likely to shut down or feel that they are constantly being criticized. 3. Don’t let them do a “turn around.” Most of us have experienced the “turn around,” as James Lehman calls it, at one time or another. This is done by our children flawlessly when they want to get us off track in a discussion. If they are very good, they will even be able to put you on the defensive. This may look like: “I told you to clean your room!” Your child’s response: “I didn’t have time because you made me late last night because we had to go grocery shopping! You are always picking on me!” You say: “Of course I don’t always pick on you….” They’ve gotten you totally off track — beautifully executed! They managed to put you on the defensive and cleaning their room is now buried under other issues. 4. Make a meeting. In those situations when your child refuses to have a conversation with you, James suggest that you try making a meeting happen. Decide on a time to meet and tell your child that they will need to be there and participate in order to have access to their privileges. (You can call the cell phone and internet providers and either learn how to access the parental controls from home or have them turn off the electronics. This will ensure that the meeting takes place.) It’s in your child’s best interest. Just remember to keep it short — around ten minutes or so. You know your child. Adjust the amount of time to what you think they can handle. Taking this into the more creative realm, remember not to overlook texting. For many tween, teens and adult children this is the norm for communication and it may work better when they’re in an unreceptive mood. 5. Try going to a public area. Going out for a cup of tea or coffee and talking in a neutral public area may work for some families. Again, you know your child best. Making a date to go out for lunch or dinner or taking a picnic may create a situation that makes communication easier. For some parents, working on an engine, going fishing or driving somewhere can also open up an opportunity to talk. Watch your children to see what works for them. 6. Write it out. If you notice a pattern to your child’s anger eruptions, leaving notes can also be a good way to connect with your child and prevent the knee jerk reaction from escalating. They may get it if they read something, as seeing things in black and white tends to make it more “real” and objective for kids. Once they explode, you won’t be able to reach them or resolve anything until they calm down. Plan it out with your child ahead of an explosion, and let them know when you will communicate with them through notes. You might say: “I’ve noticed when I ask you to do chores after school, you start yelling and swearing at me. So from now on, I’m just going to leave your chore list on the kitchen table with your after-school snack. I also want to remind you that even if you refuse to read the note, you are still responsible for completing the tasks listed.” In this way, you are still holding your child accountable—without the angry outburst. 7. Be creative. I’ve spoken to parents on the parent coaching service who told me that they found acting out what they wanted to say to their children, as in the game of charades, worked when nothing else did for their kids. Not only were their children invested in figuring out what their parents were trying to say, but it prevented them from storming off. One mom said her kids actually ended up enjoying the charades and laughing at her antics! It’s not easy. It takes patience, perseverance, and a lot of understanding on our part. But it is so worth it! 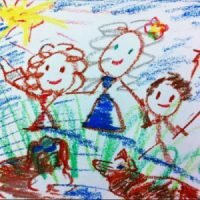 Any effective ways you’ve found of communicating with your child that you’d like to share?